Likes and thread title editing for all! 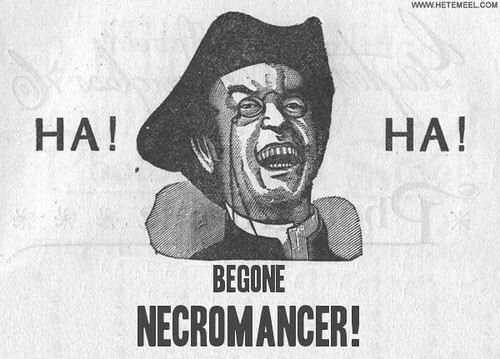 Discussion in 'Community News and Announcements' started by EvilSeph, Mar 31, 2011. Due to popular demand, we've decided to enable likes and thread title editing for everyone, everywhere. While we want to avoid likes turning into a bragging right of sorts, we feel it's a good way for people to show their appreciation for a contribution someone has made to the community without being too disruptive. By allowing anyone to edit the titles of threads they've created anywhere, we've opened up the possibility to helpfully update your thread titles with a [Solved] tag or similar to indicate a problem as being solved or provide other helpful information. We hope that everyone will use this liberally as it is a helpful indicator for those within the community that like to spend their time helping others out. It goes without saying, I'm sure, but if things get out of hand, we'll simply turn them off and go back to how we did things before. 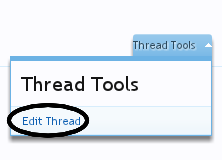 To edit your thread's title you need to use the "Edit Thread" function under the "Thread Tools" menu at the top left of your thread. Archarin, hawkfalcon, Hopper and 15 others like this. Thanks to Facebook, I am always looking for a "like" button on everything! And I do "like" the fact that you can edit a title. I just hate seeing misspellings in a title, as that's the first thing you read. I could live with a few typos in the message itself, but it makes your whole message look like you don't know what you are talking about when the title is misspelled.